The London Knights have announced the leadership group for the 2018-2019 season. Evan Bouchard has been named as the team’s captain, with Alex Formenton, Liam Foudy, William Lochead, and Cole Tymkin serving as alternate captains. Bouchard, who was recently assigned back to London after starting his season in the National Hockey League (NHL) with the Edmonton Oilers, will remain captain after serving as last year’s captain in the second half of the season. Bouchard will be the first Knight to serve as captain over the course of two seasons since Danny Bois served between the 2001-2004 seasons. A native of Oakville, ON, Bouchard was selected 10th overall in the 2018 NHL Entry Draft by the Edmonton Oilers. He led the Knights in scoring last season, netting 25 goals and a total of 87 points in 67 games played. Formenton, who was also recently assigned back to London after starting his season in the NHL with the Ottawa Senators, will similarly retain his role of alternate captain which he served as in the second half of last season. A King City, ON native, Formenton was drafted by the Ottawa Senators in the second round, 47th overall of the 2017 NHL Entry Draft. The speedy winger has played in games over the past two seasons in the NHL, debuting with the Senators for one game in the 2017-2018 season before playing nine to start this year. He was also a part of the gold medal winning Team Canada at the 2018 IIHF World Junior Championships. Foudy, a first round pick of the Columbus Blue Jackets in the 2018 NHL Entry Draft, is in his third season with the London Knights. Originally selected 18th overall in the 2016 OHL Priority Selection, Foudy became a key to the Knights’ offense in the second half of the 2017-2018 season, scoring 20 goals and a total of 33 points in his final 30 games. 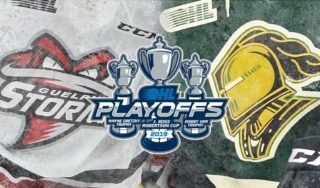 The Scarborough, ON native was awarded the London Knights Player’s Player trophy, given to the player most admired by his peers at the end of the 2017-2018 season. Lochead is currently in his first season with the Knights. Acquired by the Knights at the beginning of the 2018-2019 campaign, Lochead is in his overage season in the Ontario Hockey League. 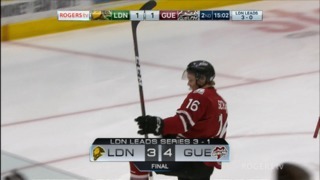 A London, ON native, Lochead grew up playing minor hockey in the London Jr. Knights system. Lochead will utilize his community roots to represent the organization throughout the city when participating in many captain led events such as visits to the Children’s Hospital, coaching clinics with local minor hockey teams, as well as elementary school visits. Tymkin, a native of Rainy River, ON, is currently in his third year with the London Knights. 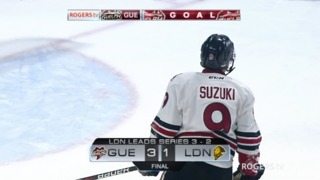 Originally selected in the fifth round of the 2015 OHL Priority Selection, the gritty forward is currently leading the Knights in scoring, registering 19 points in 16 games played. 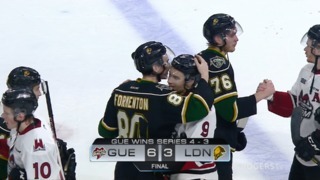 The veteran forward will be a leader by example for the London Knights this season, both by showcasing his leadership strengths in the dressing room as well as on the ice.